Safran has officially opened a new R&D center for advanced aero-engine turbine blades at its site in Genevillers near Paris. The advanced turbine blades research facility spans 3,000 square meters (32,400 square feet) and is staffed by about 30 engineers and doctoral candidates. Engineers at the R&D center will use multidisciplinary design and technologies such as single-crystal casting, 3D-printed ceramic cores, thermal coatings, cooling circuits, digitized processes, self-adapting micro-drilling and non-destructive testing that uses artificial intelligence to develop blades to develop next generation, very high performance turbine blades, said Safran. The turbine blades will be incorporated into the Rafale fighter jet’s current engines to improve reliability and reduce through-life maintenance and production costs. They will also be used in the high-performance engine being developed by the French-German Future Combat Air System (FCAS). The center will also develop technologies for use on civil aircraft engines and helicopter engines. 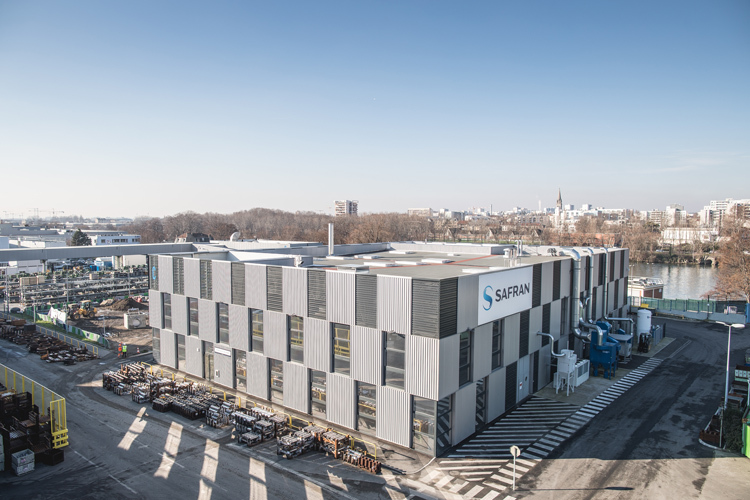 Safran’s site at Gennevilliers, 15km north west of Paris, has been in operation for 110 years and also provides forging, casting and machining services for engine parts from Safran Aircraft Engines. The site is organized in three centers, for turbine blades, compressor blades and rotating parts.